Being arrested for a DUI in Redmond is embarrassing, but the repercussions of a conviction can be detrimental. If you're convicted of any drunk driving crime, you face potentially life-altering penalties that include time behind bars. In Washington State, there are a number of differing drunk driving crimes that include minor DUI, physical control violation, felony DUI, reckless driving, racing, and marijuana DUI. Most Redmond motorist forced to conduct a roadside sobriety test and subsequent booking in jail don't consider themselves to be criminals. For many, it's their first-ever brush with the law. At the Law Office of Jason S. Newcombe, we don't view you as a criminal either. We understand that sometimes honest people make mistakes, and just want to put the whole ordeal in their past as quickly as they can. However, you need to take whatever steps you can to minimize the damage of DUI conviction, or you could end up paying a steeper price than necessary. Our Redmond DUI attorneys resolve hundreds of DUI cases in the State of Washington every year, both for first time motorists with prior drunk driving convictions and those with prior DUI arrests. If you were arrested for any DUI-related crime, you likely had no intention of breaking the law. Perhaps you just want a second chance without losing your driver's license or being forced to spend time in jail. Prosecutors often seek maximum punishments for persons charged with DUI because the public outcry is so strong. This is just one reason why it makes sense to seek help from qualified Redmond DUI lawyers who will fight for your interests. If you're convicted for DUI, you face penalties that include fines totaling up to $5,000, 364 days in jail, and a driver's license suspension, and some of your punishments will be mandatory. If you have previous drunk driving convictions, you face even more serious repercussions that should be avoided at all costs. Our Redmond DUI lawyers will use their more than 30 years of combined experience to help you fight these charges, and the outcome could depend on your actions right now. Every Redmond DUI situation demands focus, because no two cases are exactly alike, especially if you feel as though you are innocent. 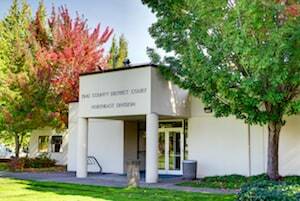 Successfully resolving a Redmond DUI case often means different things to different people, but for many it means retaining their driving privileges and staying out of jail. Contact our Redmond DUI lawyers about your arrest, and benefit from your own free case evaluation. We can discuss ways that we may be able to fight the charge. If you were pulled over by the police without any honest reason, it may be possible to have your Redmond drunk driving case dismissed. If your BAC (blood alcohol content) was measured by a faulty device, or one that was not calibrated according to legal requirements, we may be able to have your charges dismissed or reduced. 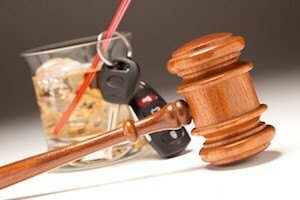 Numerous other factors may be relevant to your Redmond DUI case. Schedule a free consultation with a lawyer who will answer your most pressing questions, and then decide whether you would like to retain a qualified litigator who knows the law.